Minnesota car accident lawyer Fred Pritzker has over 30 years of experience in state and federal court. 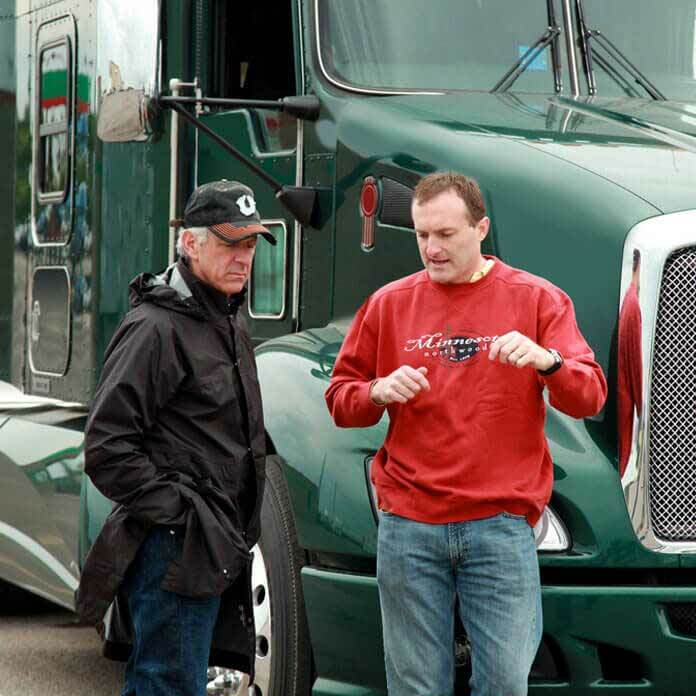 He has won cases against at-fault drivers, trucking companies, car dealerships and others. He recently won over $20 million for a client who was severely burned. Minnesota Lawyer, a legal publication, named him an “Attorney of the Year” in 2011, 2014 and 2015, an honor obtained by only a handful of attorneys in the state. If You Were In a Car Accident, Our Minnesota Lawyers Can Help. Hiring the right lawyer after a car accident can be the difference between getting a $2,000,000 settlement and a $2,000 settlement. At Pritzker Hageman Law Firm, we understand how important your recovery and financial security are. We help our clients get the compensation they deserve so they can have the financial security they need. We have a record of winning large settlements and verdicts and do not shy away from taking on the toughest cases. If you are looking for a lawyer for yourself or a loved one, we can help. We stand firm for our clients from day one. We help clients from all across the country with their accident claims. We work to get our clients the care they needed and the compensation they deserved. If you or a loved one was hit by another car, or struck by a semi truck, bus, or construction vehicle, we can help. Our lawyers help victims of serious accident and have the resources to get our clients the answers they need after their accidents.. There is no debate as to the dangers of driving drunk. Yet, driving while intoxicated is still common throughout the United States. If you were the victim of a drunk driving accident, we can help you can hold the drunk driver accountable. Distracted driving is deadly. For example, in Minnesota, distracted driving is a factor in over 25% of all accidents, and in 2015, it resulted in over 70 deaths and 350 serious injuries. Sadly, distracted driving in very common, and routinely done by many drivers. Below are some of the most common causes of distracted driving accidents. Cell phones can be very distracting when driving. In many states, it is illegal to compose or read text messages or emails while driving. For drivers under 18, using a cell phone at any time while driving is also illegal in many states. Adjusting your mirrors, setting up radio presets, or any number of other types of dashboard interactions can all cause drivers to lose focus on the road. With dashboards becoming more complex, distracted driving accidents may increase. The safest thing to do when driving is to map out one’s destination ahead of time. Driving while looking at maps or while interacting with a GPS or navigation app on a phone can be dangerous. If you are driving with a passenger, let the passenger navigate so you can focus on safely driving. It is possible for drivers to become distracted by adult passengers and/or children in their vehicles. When driving with children, make sure that they are properly buckled up and that they understand the importance of behaving well while you drive. Getting justice and fair compensation can be a hard fought battle. The decisions you make in the days directly following a crash are important to protect yourself against insurance companies who stand in the way of justice and fair compensation. The following five things are just a few of the things that you should do to protect yourself. Why Do I Need To Report a Crash to My Insurance Company? Can I sue for life or auto insurance claim denial? Should I Talk With an Insurance Adjuster if They Call? No. Don’t talk with anyone else’s insurance company representative or a trucking company representative. These people try to get information about the crash and your injuries that they can use against you. It’s a good idea to talk to an attorney before you talk to any insurance company. We have handled cases involving the following insurance companies: GEICO, Allstate, American Family, State Farm, Nationwide, Travelers, Progressive, Farmers, and Liberty Mutual. Should I Always Report an Accident to Local Authorities? Yes. If you are involved in a serious wreck, it is likely that a dispatcher will send the police or highway patrol to the crash site. For minor collisions when there is only minor damage, they might not need to be involved legally. However, by requesting a police or highway patrol report, there will be an official report filed which can be used to hold the at fault driver responsible. What Does a Lawyer do Protect My Rights? There are many ways our lawyers work to protect our clients’ rights after an crash. Insurance companies try and push injured people into signing papers to give up their rights and make them attend adverse examinations to try and cut off any medical benefits they might have. A good accident lawyer is used to these tactics as well as ones that are used by large trucking companies and major shipping corporations. Having an experienced lawyer working for you protects your rights and compensation from being taken away and lets you focus on your recovery. A Ford pickup truck pulling a trailer was heading east on I-94 near the County Road 81 exit in Rogers, MN. When the Ford began to slow down for traffic, it was rear ended by a Kenworth box truck, which caused the pickup to spin and hit two vehicles and two construction workers, both of whom were injured, one fatally. Vernon Carl Hedquist, from Pillager Minnesota, was tragically killed, and Thomas John Wood was injured. A Woodbury Police Squad SUV, a 2016 Ford Explorer, was stopped in the center median of I-494 at Tamarak Drive in the course of traffic enforcement. A 2017 Ford tow truck, towing a vehicle was traveling northbound on I-494. The tow truck drifted off of the road and rear-ended the Woodbury squad car, injuring the driver, Bryan Wagner of Woodbury, MN. An 18-wheeler box truck breached the median barrier on I-94 west of the Twin Cities in Dayton, MN. It hit a Chevy pickup head-on, and then broadsided a Kia Optima on the passenger side of the car. The driver of the pickup, Keven Allen Parker of Monticello, did not survive the crash. The husband and wife in the 2013 car were injured. The wife, Robyn Susann Grebinoski of Otsego, was critically injured. A fatal accident in Goodhue County tragically took the life of a woman from Randolph, Minnesota, and critically injured husband. The couple were on a motorcycle traveling on Highway 61 when they were hit by a Chrysler 200 Touring, a mid-sized car. The driver of the Chrysler had failed to yield the right-of-way at an intersection where it had a stop sign. Alcohol may have been a factor. A 90-year-old man riding a bicycle suffered life threatening injuries when a minivan ran him over. A 2007 Chrysler Town and Country minivan was traveling southbound on Highway 46 in Morse Township, Minnesota. The minivan hit the bicyclist when it failed to stop at the intersection of Highway 46 and Highway 2. An Uber vehicle driving in the autonomous mode (self-driving) hit and killed a woman riding a bicycle, Elaine Herzberg, a 49-year-old. A human vehicle operator was behind the wheel. The accident happened in Tempe, Arizona. Our lawyers help people injured by vehicles in the service of Uber and Lift. A woman and her unborn son tragically died when a semitrailer wheel separated from the trailer and rolled through the windshield of the woman’s SUV. The truck driver was charged with driving with unsafe equipment. The truck driver and the company for which he was driver were responsible for making sure the equipment was safe. Wrongful Death. Families can learn how to get compensation and justice. Injuries. Get information on head trauma, amputation, spinal damage, etc. Driver Negligence. Even in a no-fault state, you may be able to recover damages from a negligent driver. 10 Tips on How to Get Fair Value For Your Car Damage. Take steps to get fair value from an insurance company. What You Need to Know About a Settlement. People often tell us it’s the most important information they receive after a collision. Rear Ended. In most states, the driver who rear ends another vehicle is not negligent as a matter of law, i.e., the driver is not at fault as a matter of law. In every rear end collision fault is determined by looking at the specific facts and circumstances. My Wife Was Killed by a Drunk Driver. Can a Passenger Sue a Drunk Driver for a Rollover?